October 24, 2017 — The Health Department is currently investigating a community cluster of Legionnaires’ disease cases in downtown Flushing, Queens. A total of 12 patients have been confirmed with Legionnaires’ disease in the area in the past two weeks. Most patients had serious underlying health conditions. The patients range in age from early 30s to late 80s. Five persons are hospitalized and recovering, and seven have been discharged from the hospital. No patients have died. Two more cases are currently being investigated to determine whether they are part of this cluster. The Health Department is actively investigating these cases and has taken water samples from all cooling tower systems within the investigation zone to test for Legionella, the bacteria that causes Legionnaires’ disease. To raise awareness in the community, the Health Department and the Mayor’s Office are working with elected officials and sending outreach teams to transit hubs and senior centers in the area to distribute information about Legionnaires’ disease. The Health Department is also organizing a community meeting to inform residents, answer questions and address any concerns. The Health Department is urging residents in the area with respiratory symptoms, such as fever, cough, chills and muscle aches, to promptly seek medical attention. The Health Department has alerted health care providers in the area about this cluster. Legionnaires’ disease is a treatable infection using antibiotics for pneumonia. Every year, there are between 200 and 400 cases of Legionnaires’ disease in the city. As of today, the Health Department has sampled all cooling towers in the investigation zone. Testing involves a two-step process that first identifies genetic evidence of the bacteria and then confirms if the bacteria are alive and able to cause disease. Positive results from the first step will enable the Health Department to identify towers that potentially have bacteria capable of making people sick. The owners of those buildings will be ordered to immediately increase the level of biocides that kill the Legionella bacteria or to change to a new biocide and report to the Department within 24 hours. This biocide remediation will be done as a precautionary step while the second step, growing the bacteria in culture, is being done to determine the presence of the live bacteria that causes Legionnaires’ disease. It takes two weeks to allow bacteria adequate time to grow. A positive culture indicates the presence of bacteria capable of causing disease. The Department will order the owner of any building with a positive culture result to fully clean and disinfect the cooling tower. Legionnaires’ disease is caused by the bacteria Legionella. Symptoms include fever, cough, chills, muscle aches, headache, fatigue, loss of appetite, confusion and diarrhea. Symptoms usually appear two to 10 days after significant exposure to Legionella bacteria. 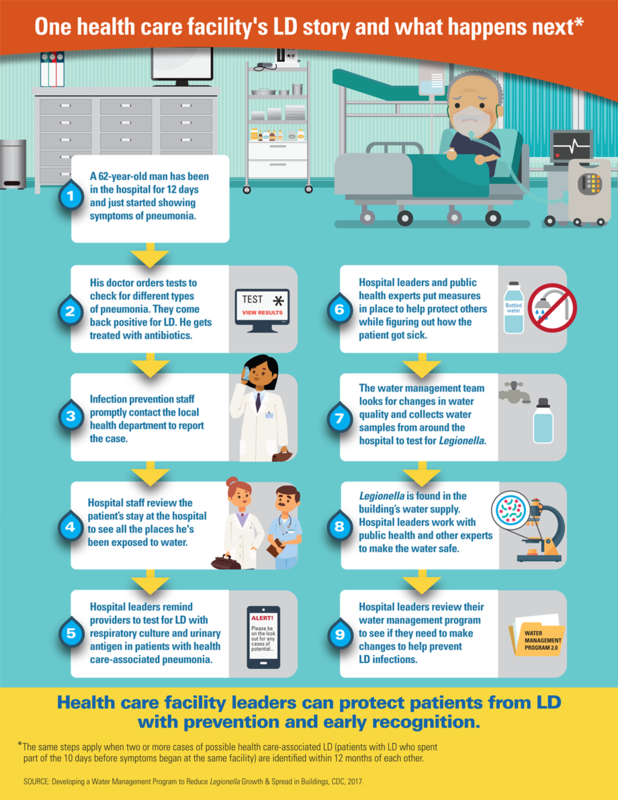 Most cases of Legionnaires’ disease can be traced to plumbing systems where conditions are favorable for Legionella growth, such as cooling towers, whirlpool spas, hot tubs, humidifiers, hot water tanks, and evaporative condensers of large air-conditioning systems. In response to the Legionnaires’ disease outbreaks of 2015, the Mayor and City Council passed Local Law 77 to reduce and contain Legionella growth in cooling towers, becoming the first U.S. municipality to adopt a set of robust requirements to ensure cooling tower maintenance. Changes to the Health Code went into effect in May 2016. In June of last year, the Health Department announced a plan to reduce the risk of Legionnaires’ disease outbreaks in the city, which, in addition to implementing the most aggressive cooling tower regulation in the nation, included the hiring of more inspectors and training of City personnel to inspect towers and better capacity to conduct lab testing. Since the implementation of the new law, the Department has identified and monitored over 4,000 cooling tower systems (over 6,100 cooling towers) in New York City. To promote compliance, the Health Department has been educating building owners and managers in best practices for managing their cooling towers. The agency has distributed information about the Management Program and Plan template, how to build a cooling tower system team and general Frequently Asked Questions. For more information about Legionnaires’ disease, please visit the Health Department website. June 16, 2017 — The Health Department is currently investigating a community cluster of Legionnaires’ disease in a section of Lenox Hill in Manhattan. A total of seven individuals have been confirmed with Legionnaires’ disease in the last 11 days. Four persons are hospitalized and recovering, two have been discharged from the hospital and one person with significant underlying health conditions in their 90s has died. The Health Department is actively investigating these cases and has sampled and is testing water from all cooling tower systems within a half kilometer radius of this section of Lenox Hill. New Yorkers with respiratory symptoms, such as fever, cough, chills and muscle aches, are urged to promptly seek medical attention. The Health Department has alerted health care providers in the area. Legionnaires’ disease is treatable with standard antibiotics used to treat pneumonia. Every year, there are between 200 and 400 cases of Legionnaires’ disease in the city. Legionnaires’ disease cannot be spread from person to person. Groups at highest risk for Legionnaire’s disease include people who are middle-aged or older, especially cigarette smokers, people with chronic lung disease or weakened immune systems and people who take medicines that weaken their immune systems (immunosuppressive drugs). Those with symptoms should call their doctor and ask about testing for Legionnaire’s disease. 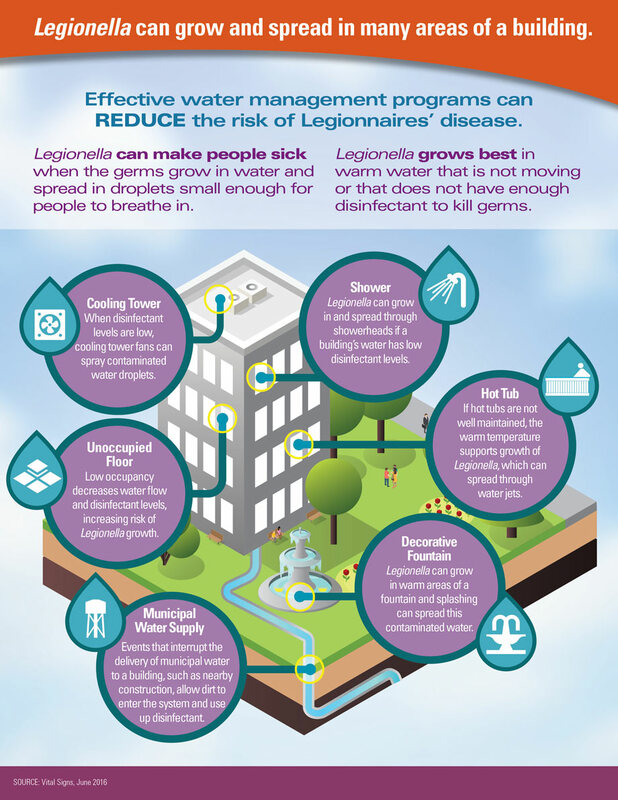 In response to the Legionnaires’ disease outbreaks of 2015, the Mayor and City Council passed Local Law 77 to reduce and contain Legionella growth in cooling towers, becoming the first U.S. municipality to adopt a set of robust requirements to ensure cooling tower maintenance. Changes to the Health Code went into effect in May 2016. In June of last year, the Health Department announced a plan to reduce the risk of Legionnaires’ disease outbreaks in the city, which, in addition to implementing the most aggressive cooling tower regulation in the nation, included the hiring of more inspectors and training of City personnel to inspect towers and enhanced capacity to conduct lab testing. Since the implementation of the new law, the Department has identified and monitored over 4,000 cooling tower systems (over 6,100 cooling towers) in New York City. Lithuania: An emergency has been declared in the capital city of Vilnius after Legionella bacteria were found in the water systems of several apartment buildings. Legionellosis is bacterial respiratory disease caused by Legionella that can present as either Legionnaires’ disease or Pontiac fever. Legionnaires’ disease is a common cause of severe pneumonia requiring hospitalization, while Pontiac fever generally resolves on its own. The following table summarizes key clinical differences between Legionnaires’ disease and Pontiac fever. Minnesota health officials have confirmed 3 new cases of Legionnaires’ disease linked to the ongoing Hopkins outbreak, bringing the total number to 20, including one death. The bacterium was named after an outbreak in 1976, when many people who went to a Philadelphia convention of the American Legion got sick with pneumonia (lung infection). People can get Legionnaires’ disease or Pontiac fever when they breathe in a mist (small droplets of water in the air) that has been contaminated with Legionella. Legionella is found naturally in fresh water environments, like lakes and streams, but can become a health concern in human-made water systems. CDC: The number of people with Legionnaires’ disease grew by nearly 4 times from 2000–2014. Legionnaires’ disease is deadly for about 10% of people who get it. 9 in 10. CDC investigations show almost all outbreaks were caused by problems preventable with more effective water management. 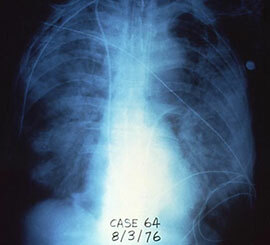 CDC investigated the first outbreak of Legionnaires’ disease, a serious lung infection (pneumonia), in 1976. An increasing number of people in the US are getting this disease, which is caused by breathing in small water droplets contaminated with Legionella germs. About 5,000 people are diagnosed with Legionnaires’ disease and there are at least 20 outbreaks reported each year. Most identified outbreaks are in buildings with large water systems, such as hotels, long-term care facilities, and hospitals. 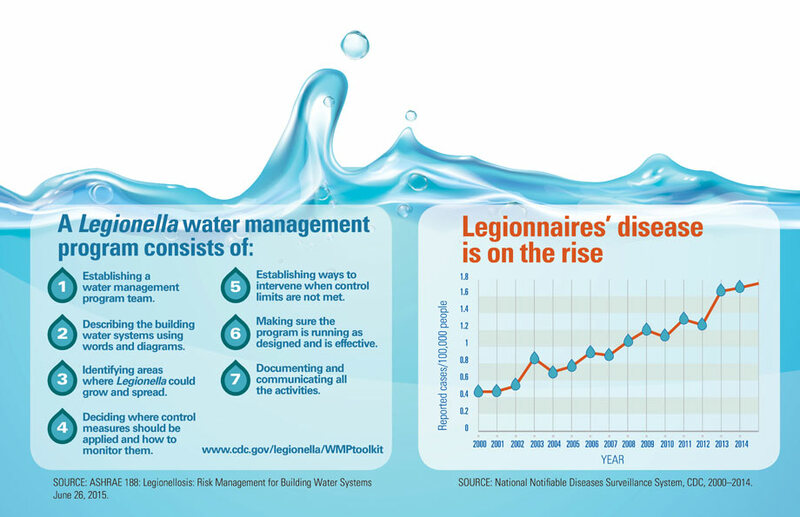 Legionella grows best in building water systems that are not well maintained. 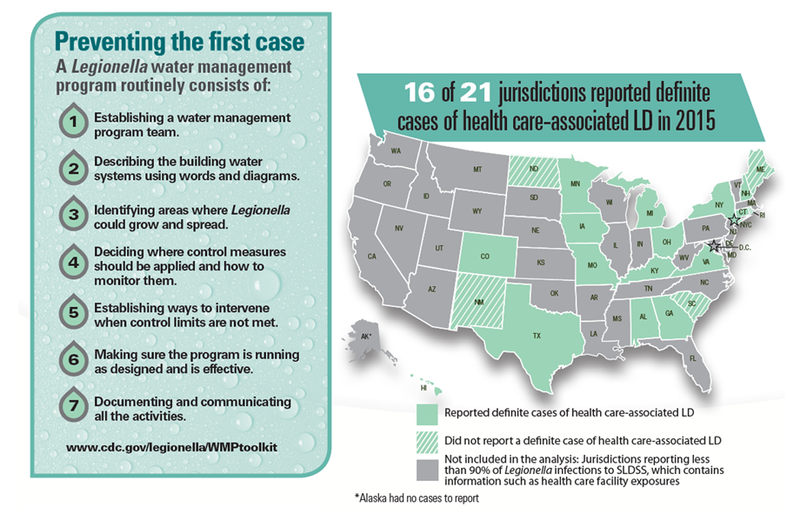 Building owners and managers should adopt newly published standards that promote Legionella water management programs, which are ways to reduce the risk of this germ in building water systems.